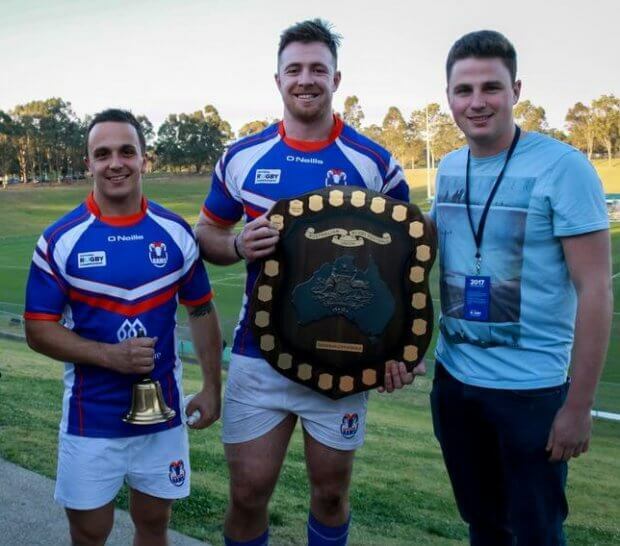 The Benn Robinson Bell is heading to Sydney’s west as the Greater Sydney Rams claimed their second win to go top of the table, taking down a spirited Rays side in a seesawing contest at Macquarie Uni sports fields. 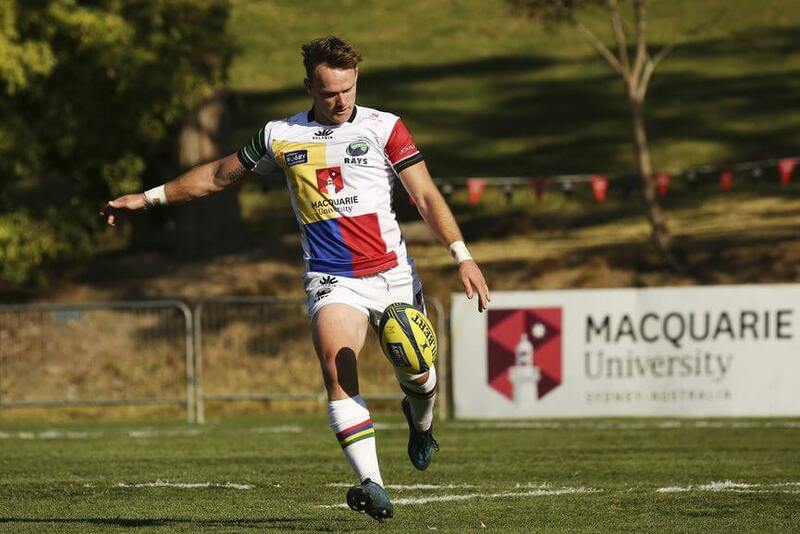 The Macquarie University Sports Fields were the sight of some utterly outstanding rugby with the Uni Sevens playing the entire weekend. The Uni management team and the Rays had done a wonderful job at creating a real atmosphere to the game. 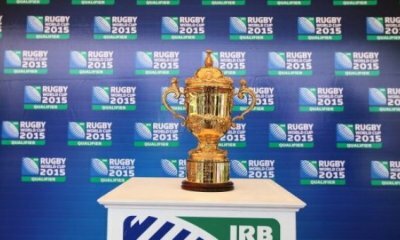 When the NRC teams turned up, the crowd of around 1,500-2,000 were treated to some outstanding rugby. 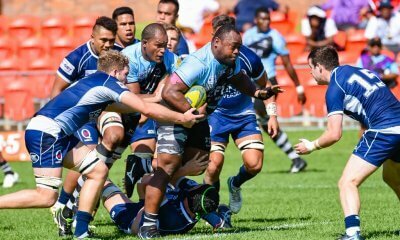 The Rays looked to have done their homework on the Rams, and in the sixth minute pulled off a stunning backline move with Apo Latunipulu carrying three blokes over the line to get the Rays on the board. As with last week, it took the Rams until the first fifteen minutes to get going, but when skipper Jed Holloway put himself in space, the Rams were able to capitalise to put Taqele Naiyaravoro in the corner. It would be the start of a strong performance from the Rams skipper. The Rams began to look threatening on the Rays line, playing with a clear sense of fearless confidence. However, Josh Turner picked off an outstanding intercept to run the length of the field and give the Rays back the lead. The Rams restarted, and five minutes later levelled the scores when Jed Holloway put on the afterburners and made mince-meat of the Rays backline to score in the corner. It was then abruptly followed by one of the fastest follow-up tries I think I’ve ever seen, with Albert Tuisue showing some outstanding strength to put Dennis Pili-Gaitau away for the Rams. Mason converted and the score stayed that way until halftime. The second half started in much the same way as the first half ended, with momentum seesawing between both sides. But in the 47th minute, a perfectly weighted Mack Mason kick saw John Grant dance with the white line and his opposite Rays number to score an outstanding try to push the Rams further ahead. However, a card to Rams forward David Hickey for a late hit on Sam Lane saw momentum shift in favour of the Rays. Lane would combine to put his winger Paula Balekana in space to score a slick backline try, while Nick Duffy, who had been having a blinder of a game at scrumhalf, combining well to put Lat Latunipulu away for his second try. Suddenly, the Rays were right back in it, with only three points separating the sides. But, with Hickey back on the field and the reinforcements arriving, suddenly the Rams forwards looked to step up a gear. They made a nuisance of themselves at the breakdown and routinely disrupted the Rays ball. 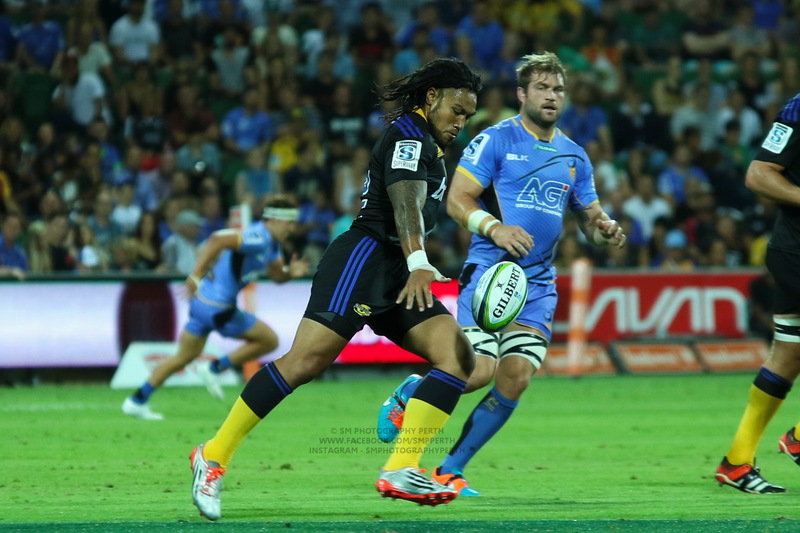 Their efforts provided a platform for the backs to work their magic, and when Kevin Fuavao barged over in the corner to take the lead back out beyond a converted try, the crowd went silent, sensing that the Rays might run out of time. When Hugh Roach scored the try off a outstanding rolling maul, it effectively sealed the match with ten to go. 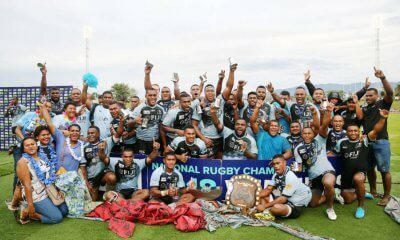 The Rays fought on until the end and looked at many points like they might’ve been able to grab a consolation try, but in the end the Rams proved too strong and grabbed their second win, the Horan-Little Shield, the Benn Robinson Bell, and the top of the table. Despite not grabbing the chocolates, it was like an encouraging opening performance from the Rays. The Rams are looking to be one of the in-form sides of this year, and to push them for the vast majority of the match shows the potential that they have to do well this year. That being said, their forwards definitely came off second best, their defence had several embarrassing slip-ups and their backs did squander several opportunities that may have led to a different result. They head to Pittwater Rugby Park next, and will sense an opportunity to taste blood against a Melbourne Rising side who are currently 0-2. The Rams had a much tougher afternoon than last week against NSW Country, but to their credit, they stuck to their guns and came out the winners as a result of it. Their performance in the last twenty minutes, particularly after the Rays grabbed those two late tries, was particularly courageous, especially in the forwards. By the looks of things, their seems to be a new attitude over at Eastwood that the Rams are taking compared to previous years. And it’s working. 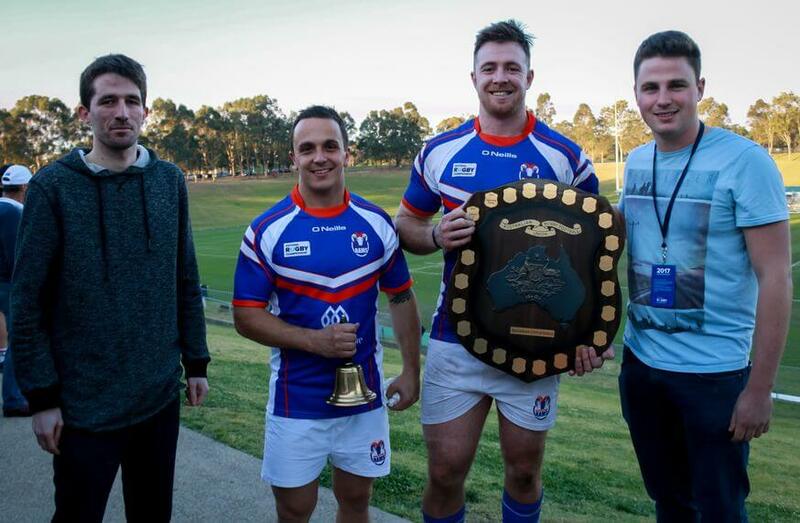 With that match, they grab their first ever piece of silverware with the claiming of the Benn Robinson Bell for 2017, take bragging rights as the dominant NSW team for this year, and also became the first NSW team to successfully defend the Horan-Little Shield. However, they will face an assignment that looks tough when they head west to take on Perth Spirit in what will likely be a hostile encounter. It was such a seesawing match that it was really hard to find a specific moment. Honestly, the attitude of the Rams forwards in the final 15 minutes proved the difference in getting them over the line. It was a really great performance by Jed Holloway at the Rams. The skipper led from the front, was a menace at the breakdown, made several linebreaks, scored a try, and showed his true colours as the engine room of the Rams forward pack. The lads from the west will do well with a captain as committed as Holloway was today. Nick Duffy for the Rays played a really encouraging match at halfback, putting many players in space and often being there in support. He was unlucky on several occasions not to grab a meat pie of his own. 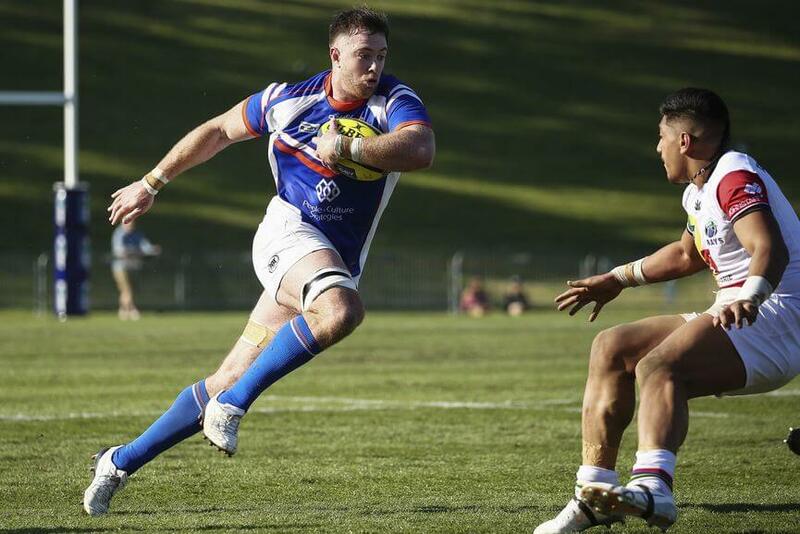 Josh Turner also impressed for the homeside, with him pushing 200 run metres before half time. The Rays are becoming known for their attacking style, and with Turner in the team, they are sure to keep that this year. 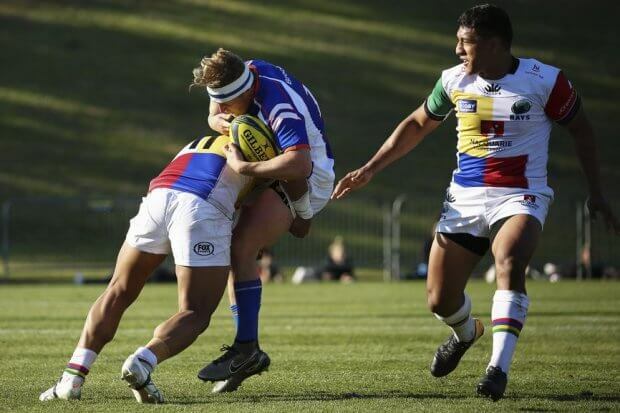 On the Rams side, Dennis Pili-Gateau had a great match against NSW Country, and a great match here. He is starting to build some outstanding form. The playing field was also in top condition compared with the appalling condition of T G Millner the previous week. As an Eastwood Club member, I have to say that I was embarrassed by the state of the field last week, which is the worst I’ve ever seen it. I know it gets a lot of use and we haven’t had much rain, but that’s no excuse for the way it was presented for a national competition. WTF, they didn’t even refresh the field line markings and the NRC logo was lost in the dust. They’ll have to do a lot better than that to project a professional image for the Greater Sydney Rams. Great to see Holloway back in good form. At his best, he is clearly the best of the Tahs young brigade and worthy of consideration at Wallaby level. Just a minor point Nick the Rams actually won the shield in round 1 and put it on the line in round 2 as well.